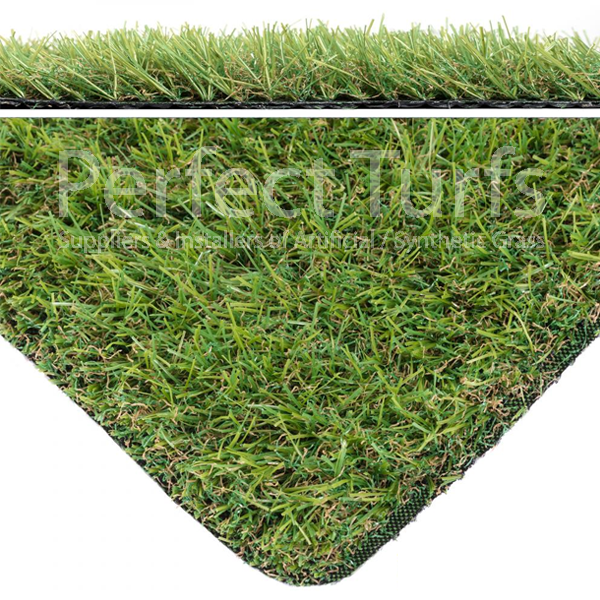 Perfect Turfs Cruz 25mm is a excellent range of grass and is suitable for all locations. It has a mixture of two greens with a natural looking beige thatch curl. High in density so really hard wearing and will stand up all year round. Comes with a standard 8 year guarantee. Please note, if joining is required we will ensure your grass comes from the same batch so you get the same colour batch. So you can order 2m & 4m and they will match perfectly. A weed barrier is required for all artificial grass installations which is available from with the accessories category.